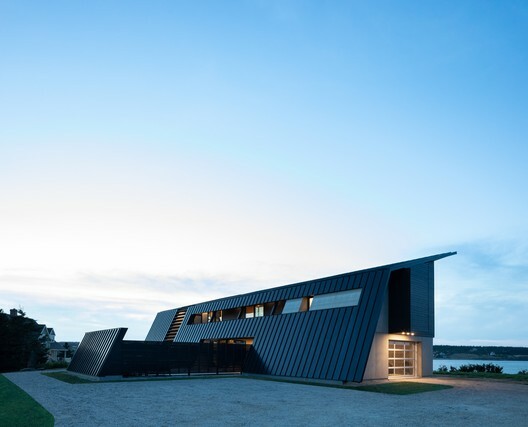 Off the coast of Kingsburg Beach - a dark robust metal structure with an angled swoop perches on the ocean - cloaked by the seaside mist of Nova Scotia . 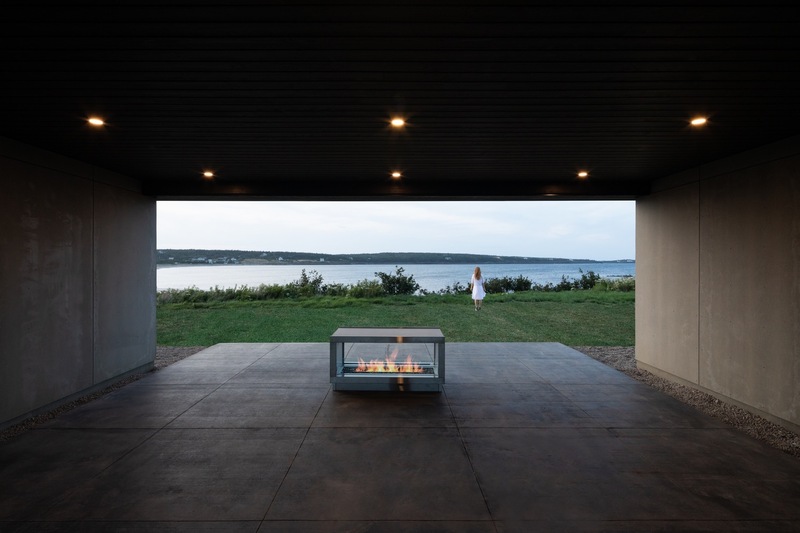 Designed by Omar Gandhi Architect, Treow Brycg House is a landmark that draws inspiration from its Southern Shore landscape, built to withstand the ever-changing climate of this area. This cool Batman-like building captivates with its formal articulation of both linear and horizontal elements, making it a unique landmark. The form of the building is rooted in the vernacular of the gambrel-roof barns local to the area. 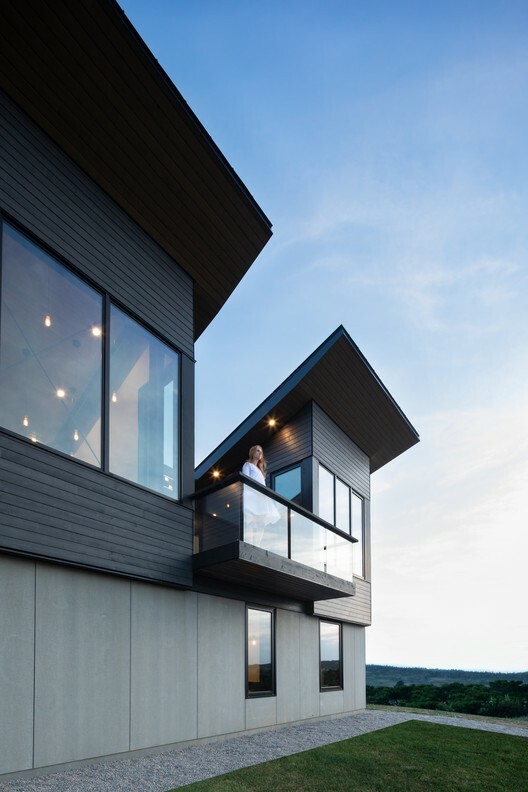 The half gambrel form is wrapped in dark steel panels, creating strong lines with the seams of the material that anchor the north facade to its site, while the southern face embraces the seaside vistas. I love the duality of the design, where one side is shrouded with mystery and intrigue, while the other opens to its landscape. 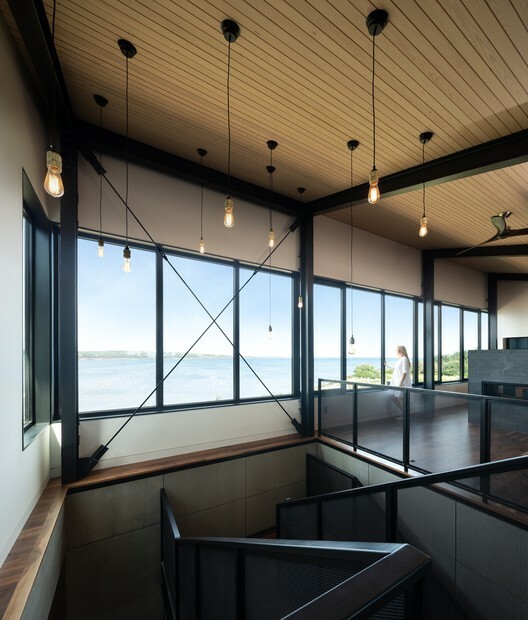 The deep-set windows on the north side provide privacy while, on the south side, expansive windows celebrate the water views and outdoor terrace projects like the prow of a ship offering spectacular sight lines. 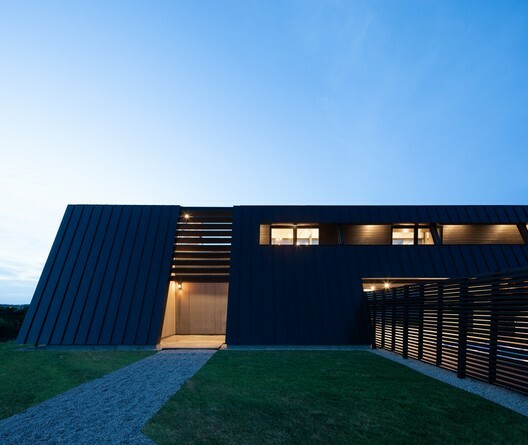 The dark metal cladding forms a rhythmic pattern with the seams on the north façade of the building. This rhythm is reinforced with the brise-soleil (sun baffles) that wrap the building and outdoor lounge areas. 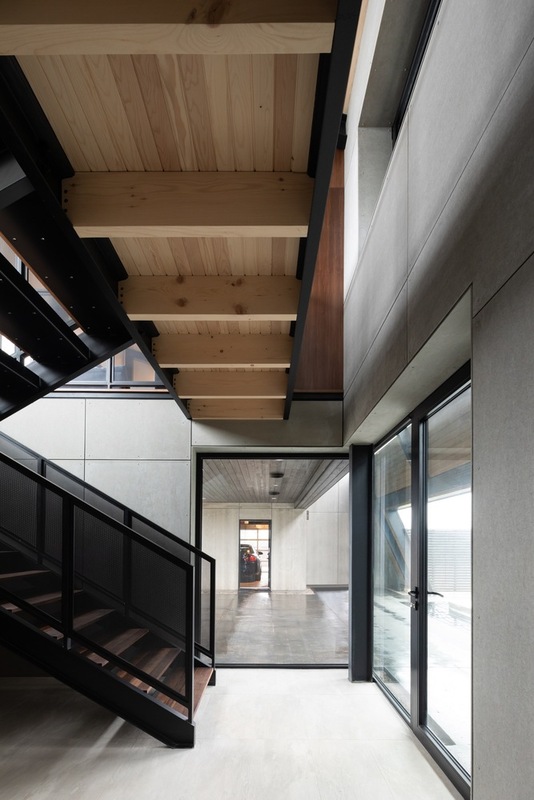 Inside this ocean "bat-cave" (this is where Batman would have his Beach House, after all) the light and airy interior is framed by its dark metal structure, reinforced by metal stair railings, window frames and black fixtures and fittings. 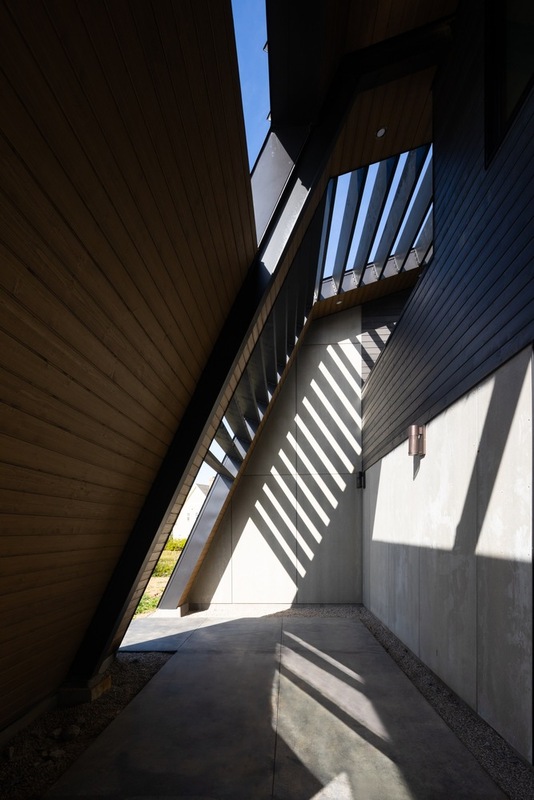 The first floor accommodates the utilitarian needs of the dwelling, such as the garage, along with guest living quarters, and lounge space including a plunge pool, and an internal breezeway with fireplace. The second level is dedicated to the residents. 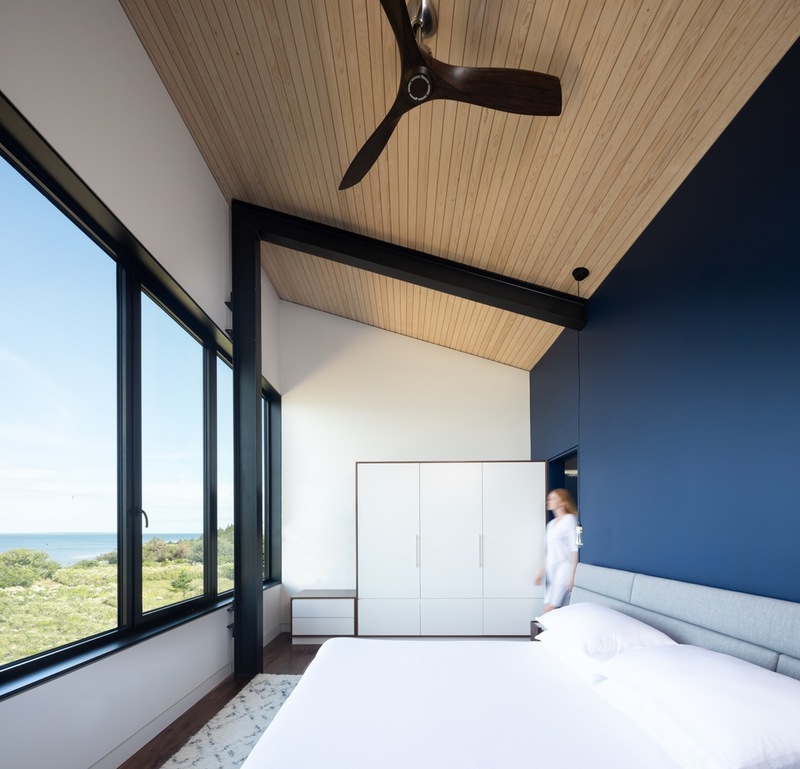 Featuring a robust structural framework, vaulted wood plank ceilings, wood floors and a palette of clean lines, understated fixtures and fittings, and a nautical blue to complement the setting, the space is unified but doesn't compete with the spectacular framed vistas. So what do you think? Would this be the perfect spot to do yoga by day and fight bad guys by night? You decide! 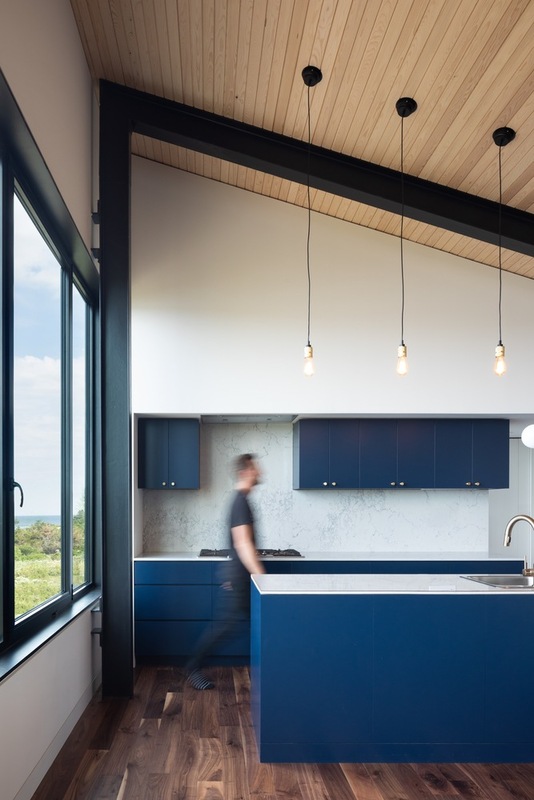 Check out more stories from Omar Gandhi Architect on Houseporn from the links below! Images Courtesy of Ema Peter.